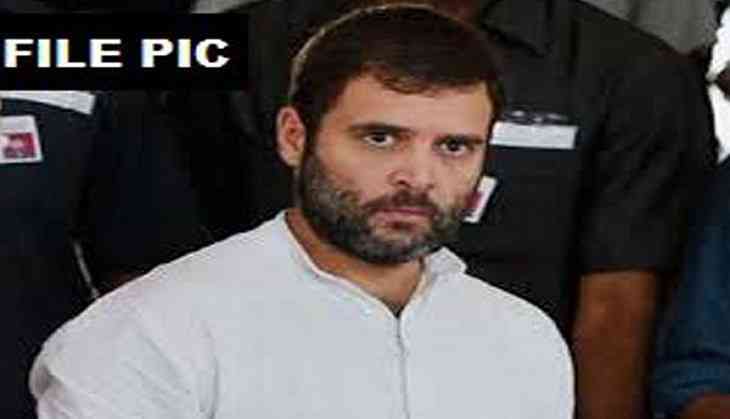 Congress vice-president Rahul Gandhi on 12 June said Prime Minister Narendra Modi-led Government has failed to create job opportunities for the youth of the nation. "Passing mark is 40 out of 100. Narendra Modi ji has received zero out of 100 in creating jobs," said Gandhi. Gandhi further took a dig at the NDA-led BJP Government and said that the way the incumbent government spends on publicity is wrong. "I believe that the kind of money this government invests in publicity is wrong because this is the government's money," Gandhi said. Earlier in the day, Gandhi accused the central government of silencing the people's voice. Gandhi---who is in Bengaluru today for the first step in the re-launch of the National Herald, a Congress-run newspaper started by former prime minister Jawaharlal Nehru--- said anybody, who tries to stand for the truth, is pushed aside by the ruling dispensation at the Centre.